Why choose Boomkats Pole dance Knee pads? If you are suffering from bruising or soreness in your knees after your training, pole dance knee pads are a must! Avoid pain and injuries with our new durable, cushioned pads with interchangeable sleeves that keep them looking fresh and trendy. The structure of the pad is designed as a beehive, so it mimics the natural shape of the knee joint and covers more than just your knee cap – your ligaments and upper part of the tibia are now protected too! 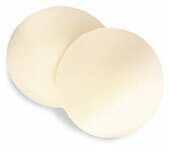 Plus they promote the comfortable feeling of stabilization of the joint. Their great fit means they stay in place for your entire training – it means no more interruptions to your flow. You can use them in your floor work and on the pole as the fronts are padded and the backs are grippy from a silicone-based apreture. The pull-on design covers your entire knee and gives you a slim fit, so you can protect your knees without the bulkiness. Pick your favorite design now! Wrap the tape measure around and above the knee where the lower thigh meets the knee. Keep the tape measure parallel to the floor. Due to a variety of many different products is hard for us to have all models in all sizes always in stock. But we promise to gradually fill the stock. Are you size XS or XXL? If your size is XS or XXL then please send us a message so we can make your chosen model in a size that will fit you. We’ll make your chosen product ready in 14 days time or even sooner! And we’ll let you know right away when to expect the delivery. Trust us, it usually takes a few days of patience, but we promise it is worth it.